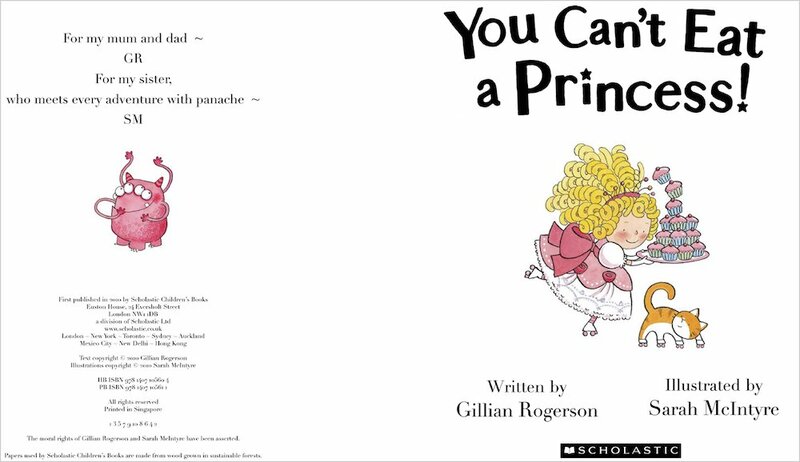 Buy You Can't Eat a Princess! 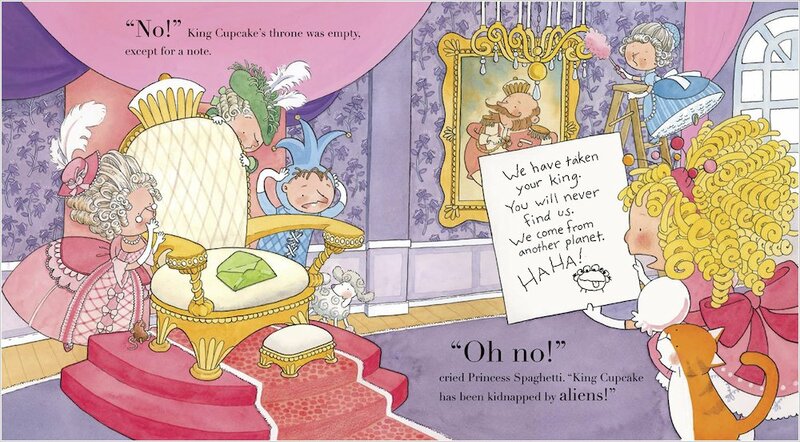 When King Cupcake is kidnapped by hungry aliens, it’s up to his feisty daughter, Princess Spaghetti, to save him! So she blasts off into space to show those naughty aliens who’s boss. 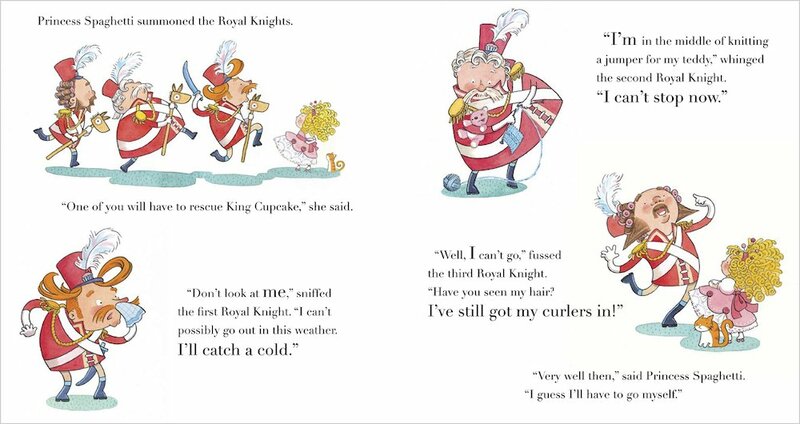 But how can she stop them from having the king for dinner? Only by introducing them to something even tastier than people: chocolate! A laugh-out-loud funny, mouthwatering adventure that’s truly out of this world! 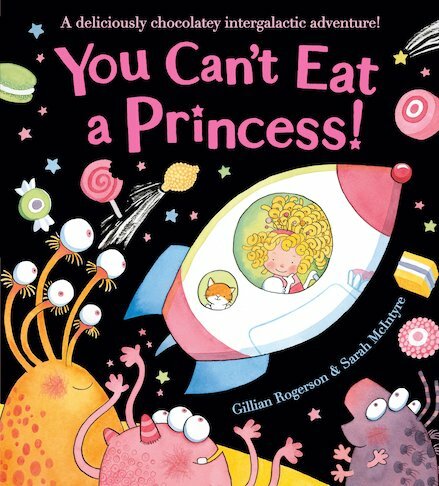 Princess Spaghetti is on a mission to save her father King Cupcake, who’s been captured by aliens who are very hungry! 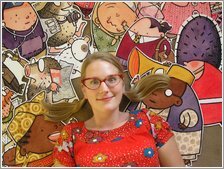 Luckily Princess Spaghetti has just the thing to save him and bring him home safely – read the story to find out what it is and laugh out loud at the exciting adventures too. 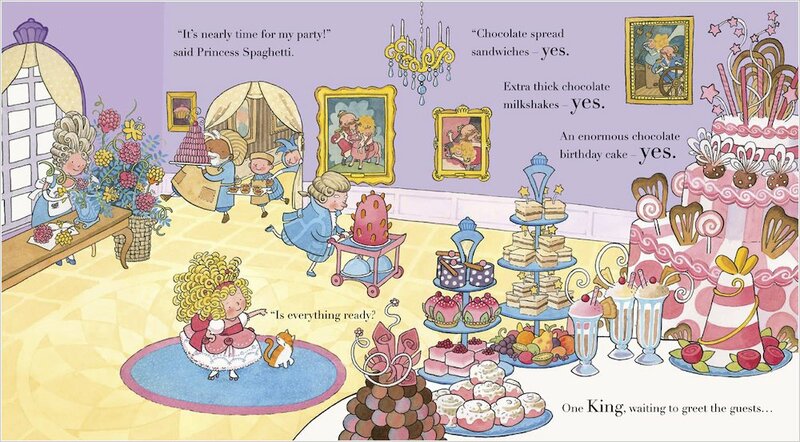 It’s a lovely, funny and madcap story with a delicious surprise that saves the day courtesy of the brave and determined Princess. I love this story. It’s about a brave princess whose rocket crash-lands on a planet where aliens want to eat her, but she is too smart for them! I KNOW IM 11, BUT MY NIECE LOVE SIT SHE READS IT ALL THE TIME!! !